The holidays are here and we're celebrating by giving you the gift of Pink! In the Pink Panther Winter Special, we deliver some wonderful snowy shenanigans with Pink and his pals. This is the must-read cartoon caper of the year and no matter if you are a saint or a scrooge, you'll be laughing along with us this holiday season. Stuff your pink stocking with silliness with the Pink Panther Winter Special! 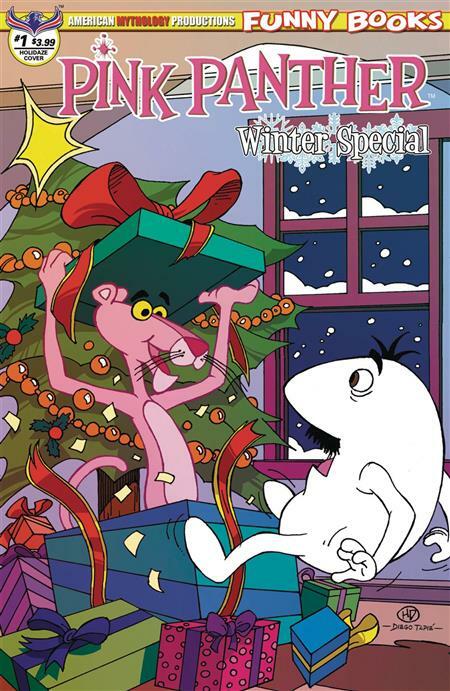 The Pink Panther Pink Winter Special #1 comes with three covers - Main by Diego Tapie, Holidaze Surprise by Horacio Domingues, and a 350 copy Limited-Edition Retro Animation variant.